Sign up for the KeLibu newsletter and you’ll be the first to hear about new products, tutorials, contests and exciting news! 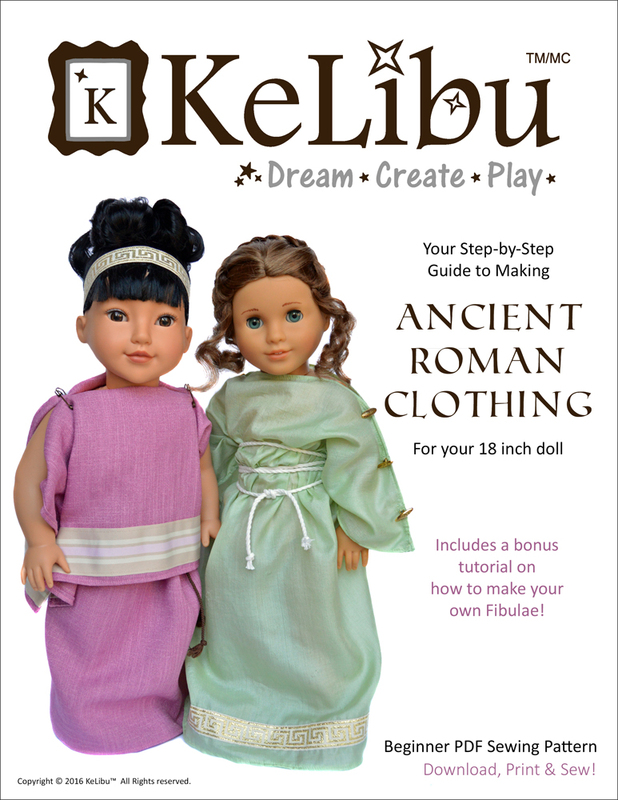 As a thank you, you’ll also receive a free pattern – Ancient Roman Clothing for 18 inch dolls. This pattern will show you how to make a Peplos or a Tunica that will fit most 18 inch dolls. As a bonus, I’ll also show you how to make your own fibulae – the decorative pins Romans used as closures on their outfits.